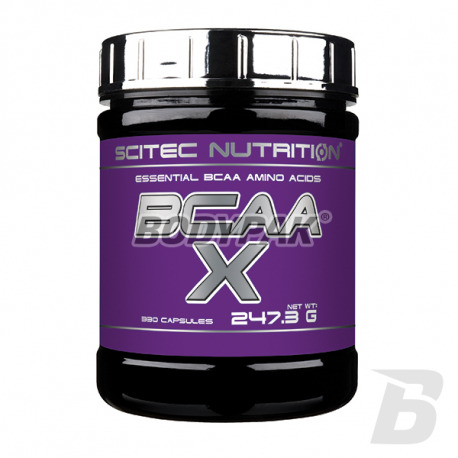 Amino AcidsScitec BCAA-X - 330 kaps. Scitec BCAA-X - 330 kaps. Branched chain amino acids (BCAA), a group of amino acids which includes leucine, isoleucine and valine. 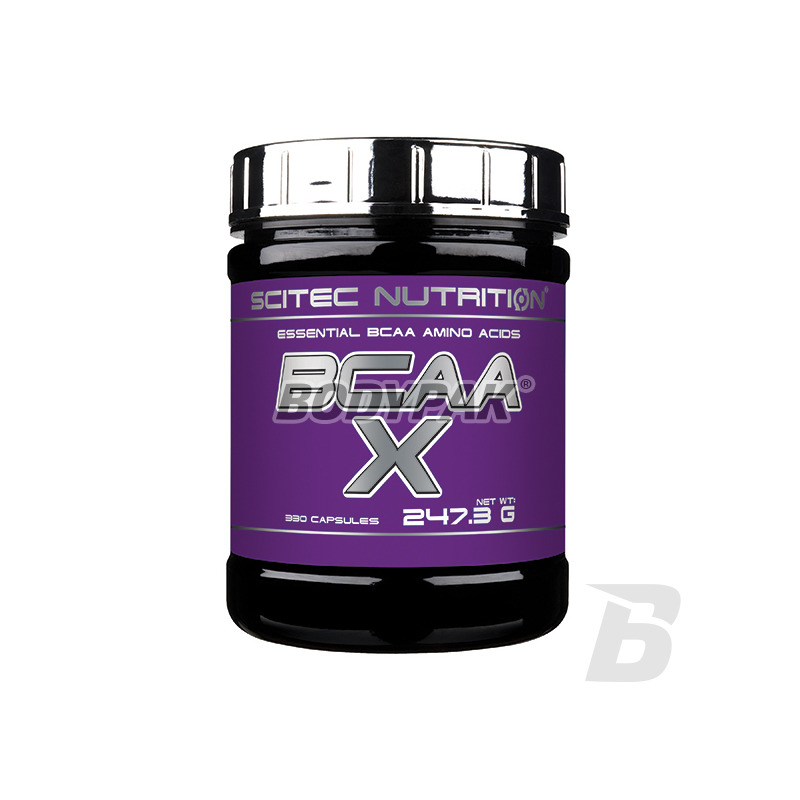 Scitec BCAA-X - 120 kaps. Branched chain amino acids (BCAA), a group of amino acids which includes leucine, isoleucine and valine. BCAA are nine known. "Necessary" (exogenous) amino acids, which the body can not produce. Their only source is the food and dietary supplements. Branched chain amino acids (BCAA) account for about 35% of the amino acids of muscle cells and are essential for the proper functioning of the body. BCAA can be consumed in the form of dietary supplements, especially during training and increased physical activity. Scitec BCAA-X contains leucine, isoleucine and valine in the ratio of 2: 1: 1 and there is convenient to consume form which is a capsule! Czyste i w miare tanie BCAA, tego szukałem!